Thick, voluminous, dark eyelashes are set to be one of the big beauty trends this winter helping to accentuate your eyes and add even more drama to your overall look but finding the right mascara which will deliver stunning results every time can be harder than you think. You want to find a mascara which not only gives you the results you desire but which is also kind to your lashes, a mascara which doesn't smudge or flake and is easy to remove. Don't know where to start? There's no need to worry as here we'll start you off with our review of Revlon's Grow Luscious Plumping Mascara helping you decide whether this is the best mascara for you. What is Revlon's Grow Luscious Plumping Mascara? Revlon's Grow Luscious Plumping Mascara is a mascara which aims to plump your lashes up to 200% instantly for intense volume. It has a specially designed applicator brush which aims to grab every individual lash and evenly coat it with plump perfection. This mascara has been designed to be applied in 2 coats or more to achieve you eyelash look. 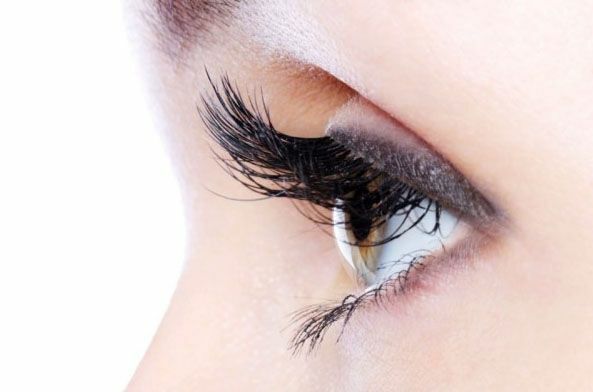 It also has been designed to condition your lashes day after day being ophthalmologist tested. How Do You Apply Revlon's Plumping Mascara? You can apply this mascara following a few easy steps. Firstly make sure your eyelashes are clear of any oils or mascara residue. Next dip the applicator brush into the solution and begin to apply to the tips of your eyelashes only and let it dry. Once fully dry apply another coat of the mascara but this time starting from the base of your eyelashes upwards to the tip helping to fully extend your lashes. For an even more plumped up lashes use the applicator brush tip to apply to the corner and bottom lashes. What are the advantages of using this mascara? A great benefit of using this mascara is not only does it not smudge or flake but it also conditions your lashes, keeping this soft and healthy no matter if you apply this mascara once a week or once a day. It clearly defines you lashes, drying fast and has a big applicator brush which enables you to cover all of your lashes with mascara solution. Also this mascara is non waterproof and so can be easily removed using a makeup remover as well as being very affordable compared to other mascaras available. Are there any disadvantages to using this mascara? The big applicator brush can cause your application to be quite messy and so this is definitely a product which you have to get used to applying. Additionally this mascara produces varied results depending on whether you have straight thin eyelashes or if you have longer curled eyelashes. When applied to stick straight eyelashes a plumped up lash look is not as notable as with curlier fuller lashes and longer lashes are not immediately visible.